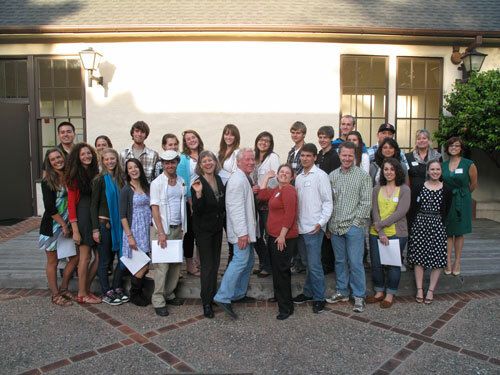 Here are some photographs from the 2011 Weston Scholarship Awards Ceremony. Sorry we didn't get everyone's photo that night. I tried my best but was unable to capture everyone. If you won a scholarship and have a photo with your image and you are not here please send it to me via email and I will add it to this gallery. We are currently undergoing another website upgrade for the Weston Scholarship, we will be changing it to a word press site. This years winning images will be uploaded as soon as we get it done. Please bear with me as we migrate all of the content in the next few months to the new site. We had a great time the work was amazing and the show was a huge success. We hope you all got a chance to view it at the Marjorie Evans Gallery at The Sunset Center in Carmel CA.